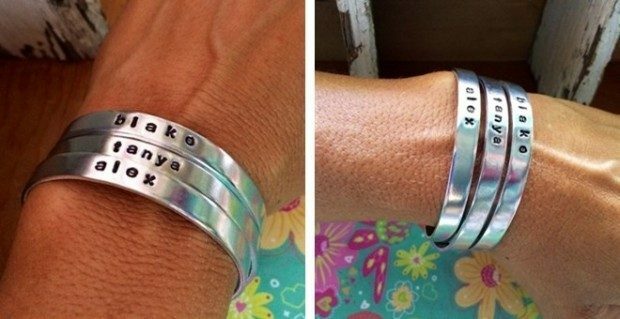 Personalized Hand Stamped Stacking Cuff Only $11.98 Shipped!! You are here: Home / Great Deals / Personalized Hand Stamped Stacking Cuff Only $11.98 Shipped!! Head over to Jane to check out this personalized cuff! Down from $18! Order the Personalized Hand Stamped Stacking Cuff for Only $11.98 Shipped!! Stack, Layer or just Pile on these super cool PERSONALIZED cuff bracelets! Cuff is made of skin safe aluminum metal that will not rust or tarnish! 1/4″ wide adjustable, will fit ages 6 and up by squeezing tighter or opening up to be made more loose. They will be stamped in lower case block font as shown! The more you buy shipping costs drop significantly!